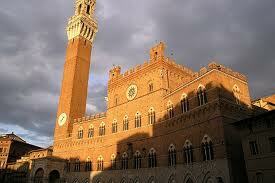 Beside the secret and hidden Tuscany there is the real Tuscany. Let us discover the countryside now at early spring when the bright green starts to spring out across the countryside, celebrating the rebirth of nature. This is the best time of year to come when the visitors are still few and restaurants are happily cheaper. After enjoying the charm of the Tuscan landscape of the cypress trees lining winding roads, let us head for Siena and, abandoning for a while the artistic treasures, indulge in the everyday pleasures of life. 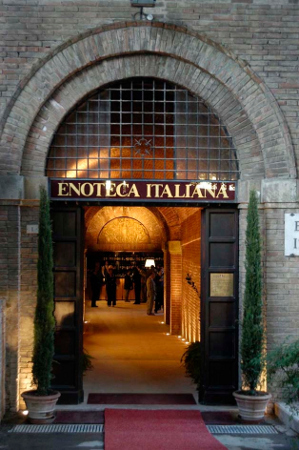 An event not to miss is Enocene inside the Medicis’ Fortress. In a convivial atmosphere every Friday, up to late summer 2012, winemakers are going to offer their excellent wines to dishes made from local produce. 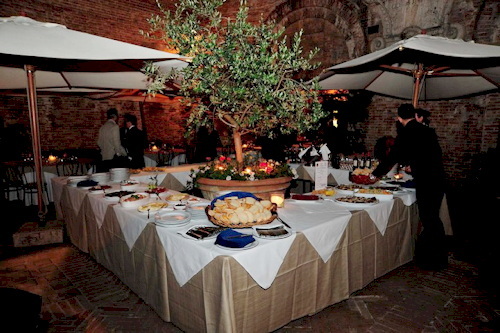 The first rendez-vous took place on March the 2nd 2012. The chef Alberto Degortes of the restaurant “Millevini”, prepared for the guests a gorgeous meal. The appetizer consisted of bream carpaccio with artichokes and lemon flavoured prawns, accompanied by a white Sicilian wine “Quarter 2010-Firriato, then followed the tagliolini with squids and prawns flavored with sage and sea bass both combined with Contessa Entellina DOC “Chiarandà” 2007 – Donnafugata, and warm chocolate “hearts”, accompanied by Elba Aleatico Passito Doc 2005 –Acquabona ended gloriously the dinner. A great match between seafood and the wines from Sicily and the Tuscan Elba Island, as the wine journalist Andrea Gabbrielli underlined during the soireè.. A unique opportunity to understand the successful combination between wine and food and to tune in with the philosophy and personalities of the wine producers, in a friendly and charming background. Considering the high standard the price, 35€, seems to be quite reasonable. Questa voce è stata pubblicata in Tuscan food and wine. Contrassegna il permalink.